There is perhaps no other player who has polarized crowds and his fellow team mates then Senegalese forward El Hadji Diouf. Ask any Liverpool lover or other players of the team and they will say a lot about Diouf’s antics on the pitch and less about the athlete everyone seems to love to hate. No doubt a grade a player, it is unfortunate Diouf’s personal theatrics are what caught the eye more, not that anyone can’t blame him for he did have his moments. Whether it was spitting at fans during the Celtics game or taunting opponents who are having medical time outs – Diouf was a proper soccer drama. Apart from playing as a forward Diouf also played as a winger and seemed to attract controversy wherever he went. Today Diouf has completely moved away from soccer and is an adviser to the President of Senegal. Born as El Hadji Ousseynou Diouf in January 1981 in Dakar, Senegal. Diouf was raised predominantly by his grandparents after his father walked out when Diouf was only 8 years old. Although both reunited 22 years later, Diouf still claims to this day that he is close to his father despite the almost 2 decade long absence. Despite coming from a decent noble background Diouf had a tough upbringing on the streets of Senegal before his family decided to move to France. Over there the teenager played for Sochaux and Rennes for a few years. He then moved to Lens where he amassed an impressive 18 goals in 54 league matches, and soon Liverpool came calling right before the 2002 World Cup. Diouf was a key player in Senegal’s team which reached the quarter finals of the World Cup in South Korea and Japan. After donning the Liverpool jersey in 2004 and despite having a good run Diouf was a controversy magnet. Against Celtic at the UEFA Cup Diouf made a complete disgrace of himself by spitting on a Celtic fan. Many players and fans of the club considered Diouf a total misfit and felt that he disgraced the red jersey. He was slapped with a two month ban and fined two weeks wages by the club. After shifting and being loaned to multiple clubs including Bolton, Sunderland, Blackburn, and finally Doncaster. He scored no goals in 16 games for Sunderland before joining Blackburn in mid-season for £2 million where he scored a solitary goal in 15 appearances in his debut season. Without a single goal in 2010/11 in 21 matches for Rovers Diouf moved to Rangers on loan once again. After so much shifting around in between clubs. 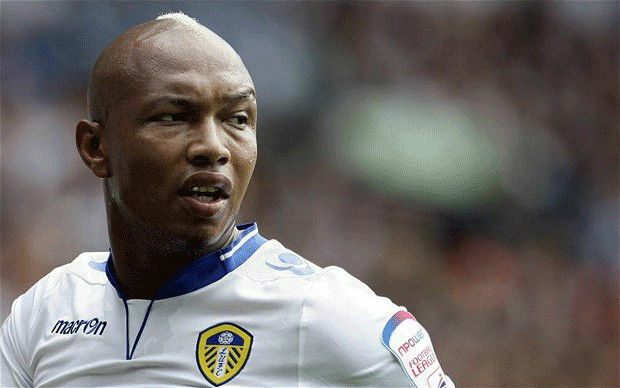 Diouf ultimately settled for playing for Leeds United. Leeds United was a success story for Diouf as he managed to stay there for full two season void of any controversy. During his nine year career he scores 21 goals in 69 caps. On the international level he scored 16 goals in 43 caps. El Hadji Diouf was voted the Best African player in 2002.